Saturday was another busy day for us, with 3 weddings taking place over the Bedforshire countryside, all teams were working hard looking after our clients. With sunshine all day and BBQ aromas filling the air, there were plenty of happy people enjoying memorable days! 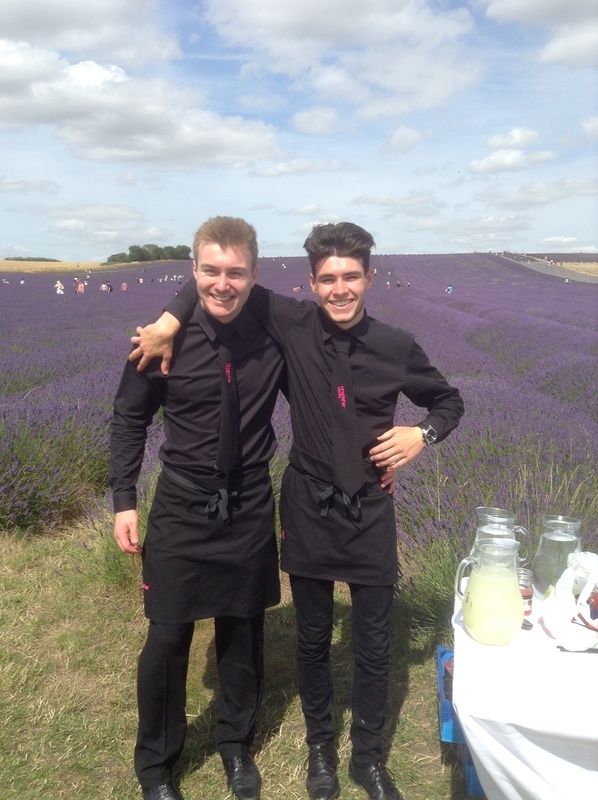 I was back at the beautiful Hitchin Lavendar Farm, with the Lavendar in full bloom the backdrop was stunning! My lovely couple Mona & Giles had a Baha’i ceremony to the side of the Tipis, followed by welcome mocktails of Shirley Temples & Mojitos accompanied by an old fashioned ice cream van. Everyone was so content outside it was hard trying to get them in the Tipis for their wedding breakfast! John cooked up a delicious BBQ of pork & leak sausages, lemon & summer herb chicken and peppered ribeye steaks, accompanied with bowls of Greek salad; roasted Mediterranean vegetables with lemon & garlic olive oil; green beans rocket leaves & sugar snaps, balsamic olive oil; and hand cut chips. 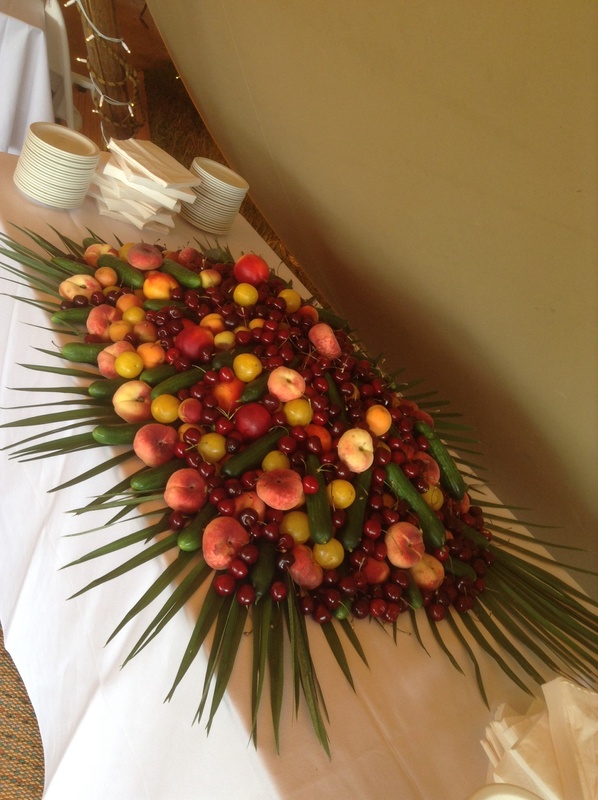 The food smelt and tasted delicious, the guests all had seconds and enjoyed it immensely. This was followed by wedding cake, fruit platters, tea, coffee and very amusing speeches! The DJ played their first dance and kept the dance floor rocking late into the evening. With marshmallows roasted on the fire pit and a photo booth with the funniest of props, it was an evening to remember! Mona & Giles left running through an arch of sparklers, then jumped in a jeep and speed of into the night. Their smiles just about say it all! So was that the perfect trio? 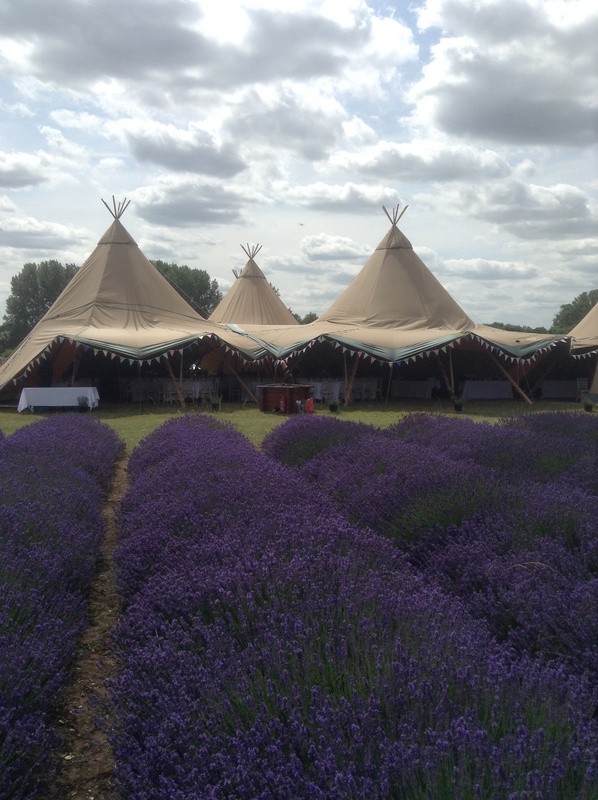 – Tipis4hire, Hitchin Lavender Farm & Kingfisher Caterers? A BBQ menu to celebrate Petrit and Rebecca’s special day. With honey, soy & chorizo chicken skewers; monkfish, tiger prawn and salmon skewers; lamb leg skewers marinated in red chilli and pulled pork, it was another delicious feast. All accompanied with bowls of salads and baby new potatoes. 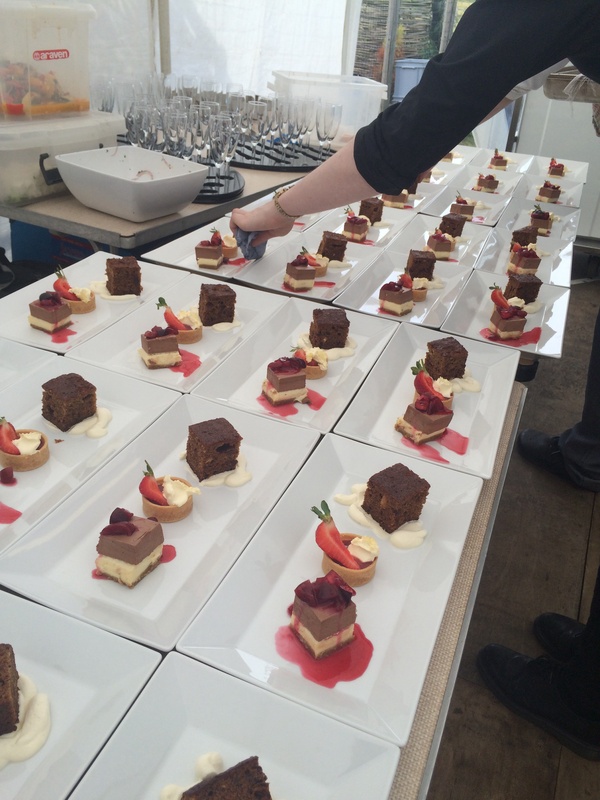 But it was the trio of desserts that Ian said caused the biggest stir with actual ‘wow’s’ being heard through the marquee as the staff set down the plates! 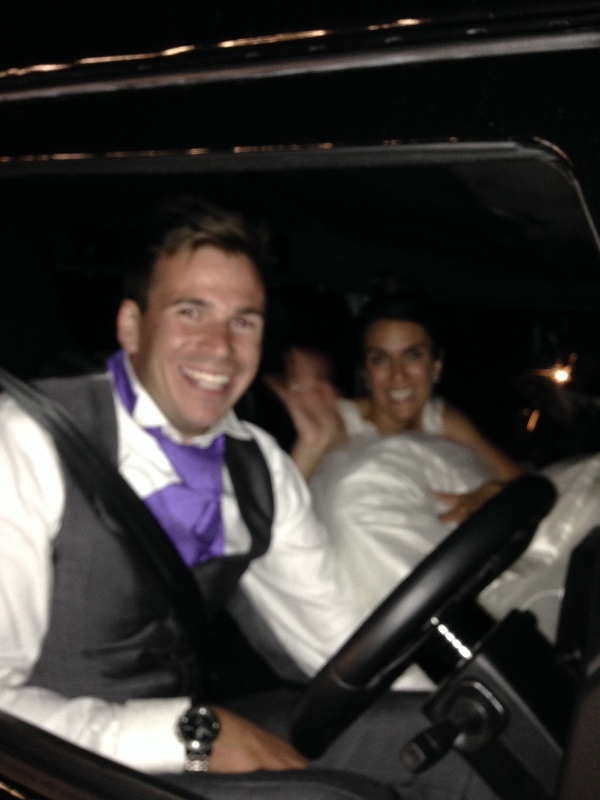 Dan and Katherine were in at the beautiful Burwash Manor in Barton to celebrate Keeley & Phil’s day. Canapes followed by traditional afternoon tea was their chosen style of food, with tea, coffee and champagne being served in the warm afternoon sun, another great family for us to cater for. So which is the perfect trio? All of the above I think, or maybe just team KF doing a triple Saturday! Well done everyone! 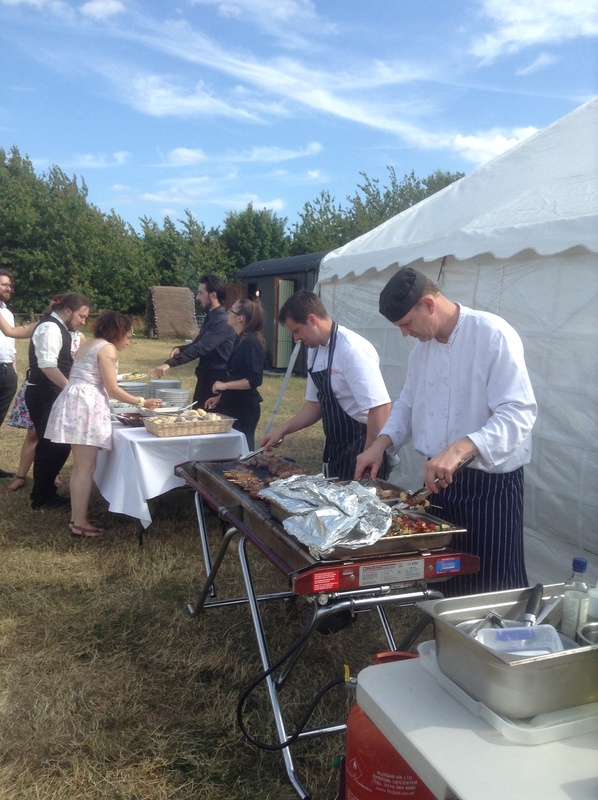 Yesterday we catered for Tim & Vicky to celebrate their marriage at the picturesque North Hill Farm in Chorleywood. 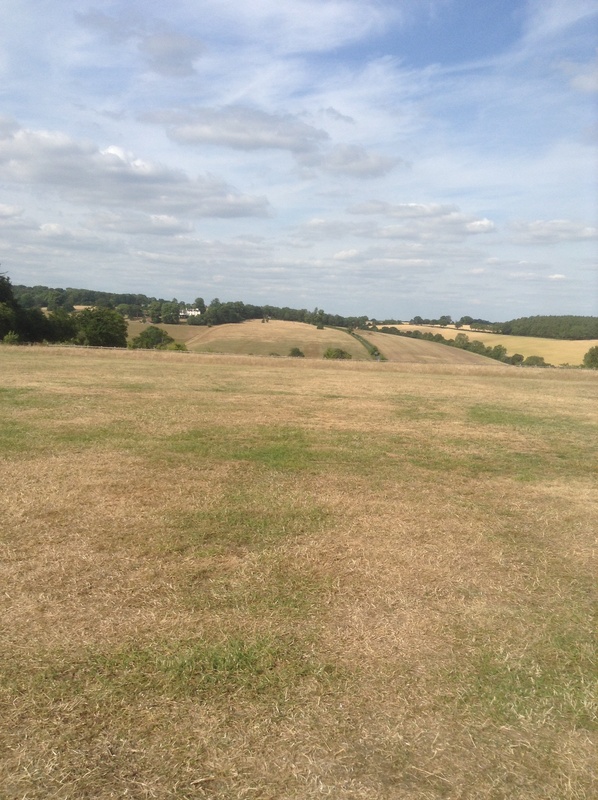 Set on top of the hill with rolling countryside all around it is a magical location for any celebration. 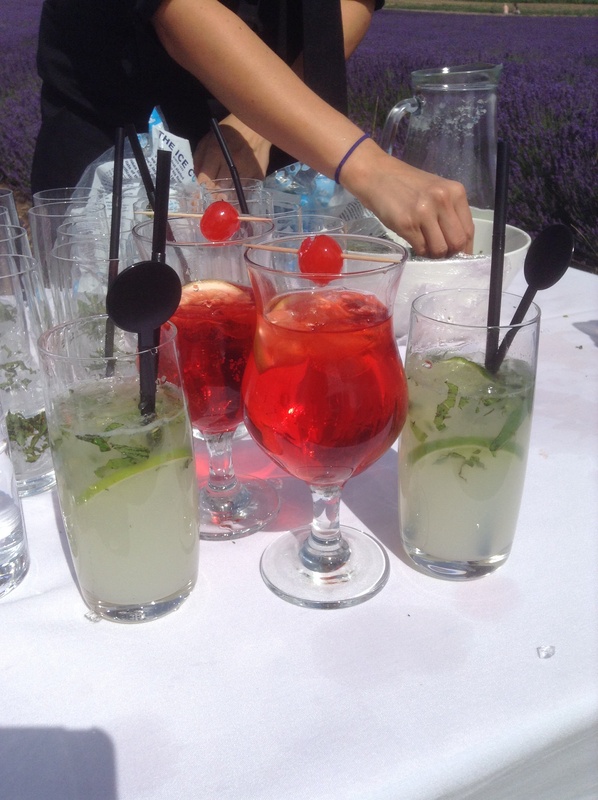 After a blessing under one of the treehouses the guests made their way to the marquee, we served them with glasses of ice cold Pimms and canapés, perfect for the warm summers afternoon. John and Stuart set the BBQ up in full view for the guests to see them work their magic cooking up a feast of lamb skewers marinated in red chilli, orange & mint, homemade Cumberland sausages, honey, sesame & soy salmon, and marinated Haloumi and vegetables. It smelt delicious. This was served with homemade coleslaw, rocket, pine nuts, Parmesan salad and Tuscan Panzanella and buttered baby new potatoes. 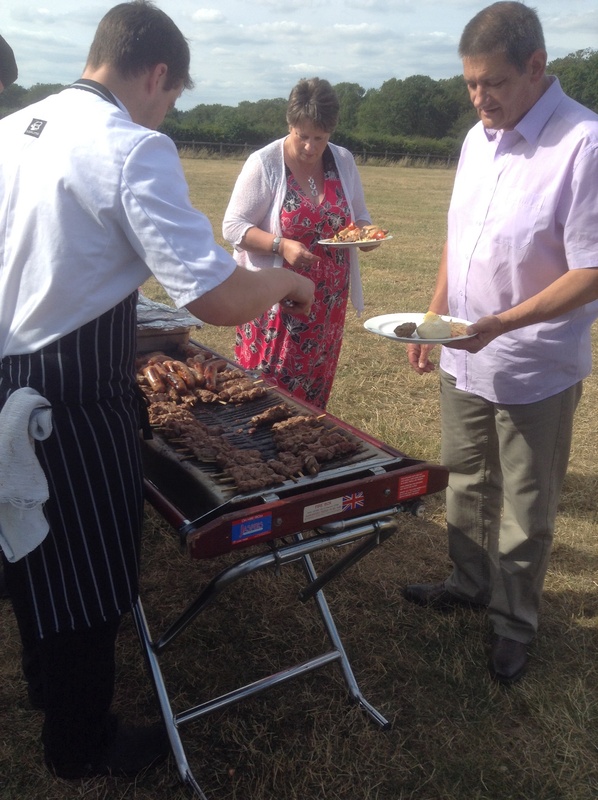 The guests came and choose their food straight from the BBQ and were so impressed with our wonderful chefs! Mini Desserts followed along with tea & coffee, followed by some heart felt speeches. With a roaring fire lit and drinks flowing from the bar, the DJ cranked the music up and the guests partied the evening away. A beautiful day with a lovely family and friends. We loved being part of Tim & Vicky’s special day!